A former Serviceman has been nominated as Deputy Police and Crime Commissioner for Cambridgeshire. 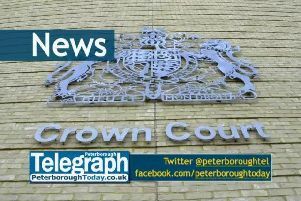 Ray Bisby, who is also a Conservative Peterborough city councillor representing Stanground South, is set to replace Andy Coles in the role. Mr Coles, another Conservative city councillor, resigned following the screening of a Channel 4 investigation that claimed he had a relationship with a young activist while working as an undercover officer. At the time he said news coverage of the allegations was “significantly impacting” on his ability to carry out his duties, but he said he could not comment on the reports. The Police and Crime Commissioner for Cambridgeshire is Jason Ablewhite. Mr Bisby said: “I am delighted to be selected as Jason’s preferred candidate to become his deputy police and crime commissioner and look forward to working with him as part of his team. Mr Bisby started his career in the military before joining the Royal Ulster Constabulary, serving 19 years in Northern Ireland. He moved to Peterborough in 2007 and became actively involved in voluntary work in the community including becoming chair of the local Policing Board. He was elected a councillor for Stanground South ward in 2015 and he is chair of the council’s Corporate Parenting Committee. Mr Bisby is also a member of the Police and Crime Panel, becoming vice chair in 2017. The deputy commissioner’s role will be to support the commissioner in his role to hold Cambridgeshire Constabulary to account, drive forward the community safety agenda in the county, bring agencies together and listen to the public and local communities. Mr Ablewhite said: “I have taken some time in deciding who to offer this important position to and Ray stood out as having the right experience and personal qualities. In line with statutory procedures, the commissioner is required to formally notify the Cambridgeshire Police and Crime Panel of the proposed appointment and they will then be required to arrange a public confirmation hearing. Once the panel has considered the appointment and given its recommendation, the commissioner can then make his formal decision on whether to appoint Mr Bisby as the deputy commissioner. It is hoped that the formal decision can be made before the end of December. If appointed Mr Bisby would be required to work the equivalent of 2.5 days per week. The role will attract a payment of £28,000 per annum. This payment has been calculated on the basis of 80 per cent of the commissioner’s salary, prorated at 50 per cent.